Indian Student Federation is a club launched to overcome all the hardships international students come across by being abroad. Creating an ambiance of home away from home is of the paramount essence of this club. First and foremost, our goal is to welcome and unite all current, prospective and alumni students. Along those lines, we try to inculcate a homely feeling to make their life abroad comfortable and memorable. Promoting Indian culture and celebrating Indian festivals are also of great importance to us. We aim to build a community by students for students to strive for the better. The Indian tradition of Holi, also known as the Festival of Colours, is celebrated around the world. Wherever there are large South Asian populations, these joyous and sometimes raucous days of parades, bonfires, music, and meals are always highlighted by the throwing of coloured powders and the spraying of coloured water. Although the holiday tradition originated in India and Nepal countries such as Bangladesh and Pakistan also embrace this festival. Even South Asian populations in the United Kingdom and the United States join in on the fun. Not surprisingly, many people from different parts of the world can’t resist the colourful mayhem that accompanies this celebration. We at ISF would like to continue to celebrate this tradition with our fellow peers at SFU. Our objective this year is to pull in students from various ethnicities to make it a diverse event. 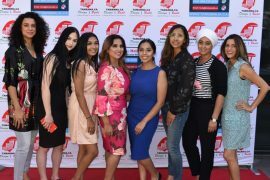 SFU emphasizes on community building, and we believe that this event would be a great opportunity to take this idea to a new level. 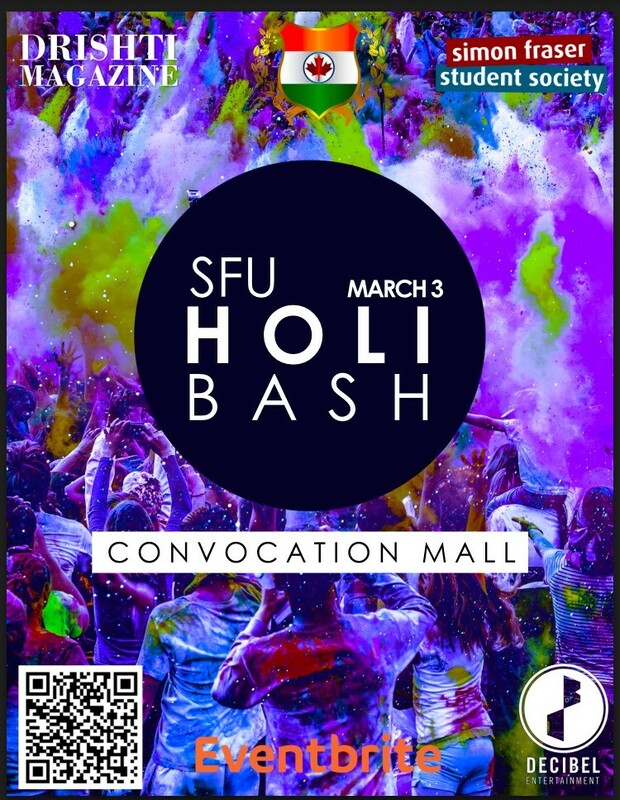 This event is the most coveted event of the semester and the BIGGEST PARTY ON CAMPUS since the Fall Kick-off, a kind of party that SFU has never seen before! And it is going to be better and bigger than anything we have organized in the past. 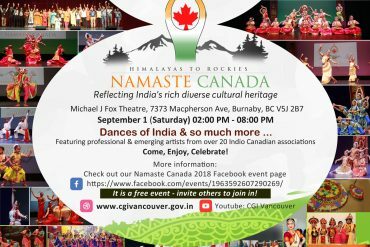 The event is going to be spectacular as it would be headlined by the best DJ from Decibel entertainment playing the best of Latin, EDM, top 40, club hits, hip hop and of course Bollywood and Punjabi Music. Therefore, we would love to for you to be a part of it.